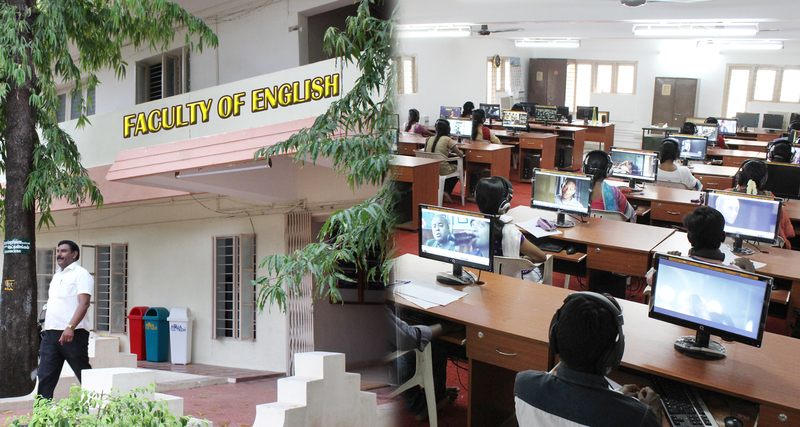 The Faculty of English and Foreign Languages is as old as the Gandhigram Rural Institute (GRI) and offers a Master's programme in English and Communicative Studies, a full- time MPhil programme in English and full- and part-time PhD programmes in English. Apart from these programmes, a Certificate Course in French is being conducted by the Faculty. It has been a pioneer in introducing innovative programmes, especially in the field of Communicative and Cultural Studies. It ran a Master's programme in Comparative Literature and Cultural Studies, a UGC Innovative Programme, from 2005-10. It has so far produced 48 PhDs and more than 150 MPhils. The members of the Faculty serve on various Boards of Studies and other bodies of higher learning in different universities throughout the country. The Faculty brings out Gandhigram Literary Review (ISSN: 2278-8170), a peer-reviewed, annual journal.